Just a few months prior to receiving the ASME Medal, Mote delivered a keynote lecture on "The 21st Century Global Innovation Environment" at the 23rd Biennial Conference on Mechanical Vibration and Noise. The 23rd Biennial Conference on Mechanical Vibration and Noise was a part of the 2011 ASME International Design Engineering Technical Conferences (IDETC) and the Computers and Information in Engineering Conference (CIE), which took place August 28-31 in Washington, D.C. Mote’s keynote was a prime event at this conference, which united representatives from a variety of engineering disciplines in industry and academia to discuss the latest research and challenges in vibration and noise technology. An Honorary Member of ASME, Mote was named a University System of Maryland Regents Professor in April 2011 in recognition of his scholarly achievements and exceptional service to the University of Maryland (UMD) and the University System. He is a member of the National Academy of Engineering (NAE), and he is the newly-elected treasurer of the NAE. Mote is a member of the National Research Council (NRC) Governing Board, who serves on a number of NRC committees concerned with issues of innovation and national competitiveness in engineering and science. He recently completed a term as vice chair of the Department of Defense Basic Research Committee. 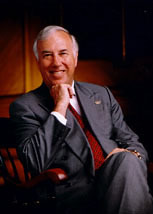 From September 1998 to August 2010, Mote served as President of the University of Maryland. He was recruited by state mandate to lead the University of Maryland to national prominence. During his presidency, he encouraged an environment of excellence across the University and furthered the momentum generated by a talented faculty and student body. Under his leadership, academic programs flourished; in 2005, the University was ranked 18th among public research universities, up from 30th in 1998. As President, Mote emphasized broad access to the University's model, enriched undergraduate curriculum programs, and launched a number of initiatives, such as the Baltimore Incentive Awards Program, to recruit and support students of outstanding potential who have overcome extraordinary adversity during their lives. Before arriving at UMD, Mote was a member of the University of California, Berkeley faculty for more than 30 years, during which time he served as chair of the Department of Mechanical Engineering and UC Berkeley vice chancellor (1988-1998). Mote received his undergraduate, graduate and doctoral degrees in mechanical engineering from the University of California Berkeley. His research interests include dynamic systems, gyroscopic systems, and biomechanics. He has produced more than 300 publications on his research and mentored 56 Ph.D. students, and he currently holds patents in the U.S., Norway, Finland, and Sweden. For more information on Professor Mote, please visit his faculty page. Portions of text provided by ASME.